Today our Church held a chili cook-off to raise money for a local charity. What a fun event! There were fifteen different entries with a wide range of thickness, flavors, and textures. Some were really thick. Others were runny. There were sweet versions. There were spicy versions. Some with ground beef and others that used beef chunks. Some with peppers. Others without them. It was really interesting (and filling) to sample all 15 different recipes. After trying them all I have to say I still liked mine the best but that kind of makes sense since I’ve perfected it to the way my family likes our chili. While I didn’t win I’m OK with that for several reasons. 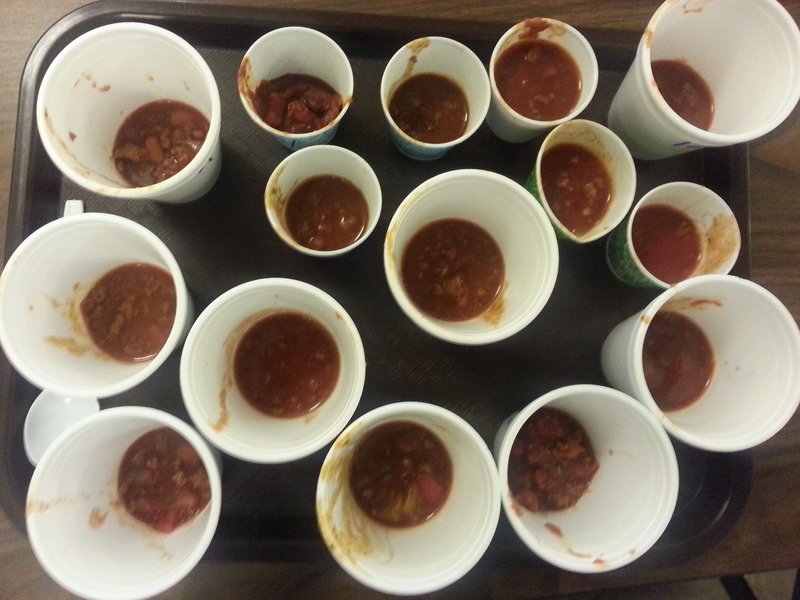 First, the winner was my favorite chili there besides my own. Second, our Church raised $1,800 dollars for a United Methodist Church inside a local women’s prison. Third, it was a fun event. Lastly, I’m OK with not winning because my youngest after trying my entry this morning said, “This is the best chili ever!” I’ll take that as a victory any day! While some may closely guard their recipe I’m happy to share mine! 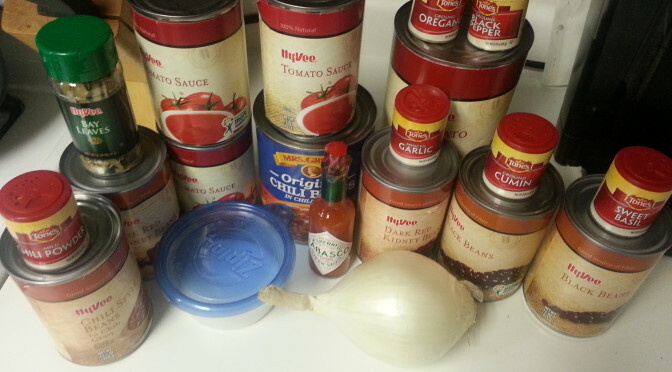 Place all the ingredients in a large crock pot and heat on low 8-10 hours or high 4-6 hours. So that’s my chili recipe. How does it compare to yours? What chili making tips do you have? It was a great day but I’ll have to keep my secret for at least 1 more year. I’m glad you enjoyed the other one, besides your own. I enjoyed things about all of them and there wasn’t a bad one in the bunch. The variety was really cool. 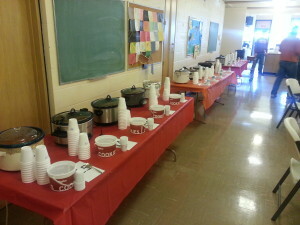 The winner was just closest to how I prefer my chili. I don’t envy the job of the judges. It couldn’t have been easy. I like to add a little graziano’s sausage and my secret is a tiny pinch of cinnamon.